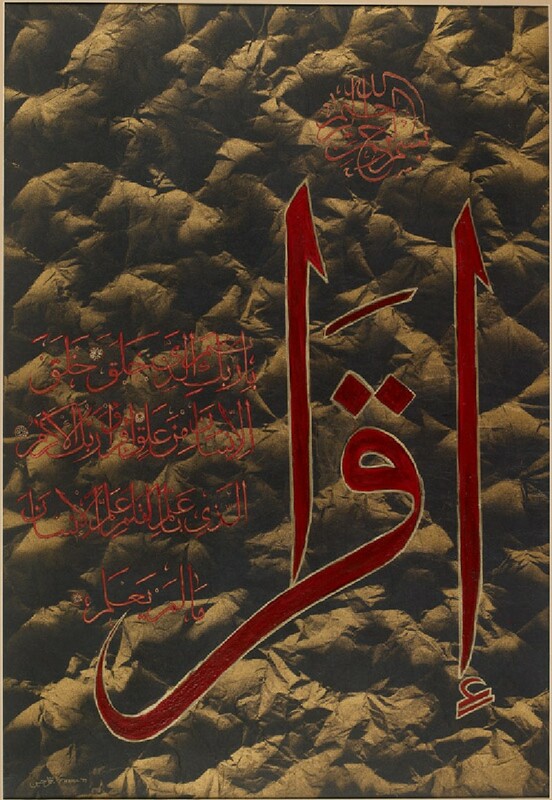 Dominating the main field of this composition is the Arabic word iqra' (‘Read!’), followed by one of the most frequently quoted Qur’anic passages: ‘In the name of your Lord who created. He created man from a clot of blood. Read! And your Lord is the most Generous. Who taught by the pen, taught man that which he knew not’ (Qur’an, 96:1-5). 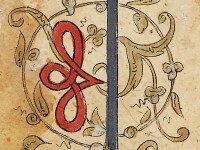 As the first revelation received by Muhammad, the surat al-'Alaq (‘The Clot’) represents a turning point in the history of Islam, marking the transition from a time of darkness and ignorance, to an age of enlightenment and truth. 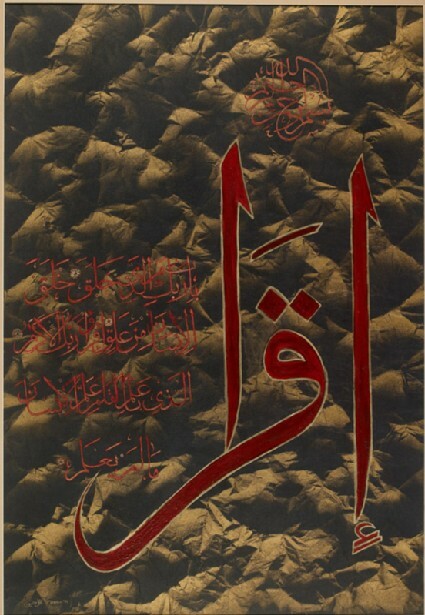 By adopting a colour scheme inspired by these ideas – red for the clot of blood from which mankind was created, black for the darkness of pre-Islamic times, and gold for the radiance brought by Islam – Hussain’s composition goes beyond the traditional act of copying the Qur’an to provide a range of additional meanings. Presented by Syed Tajammul Hussain, 1999.